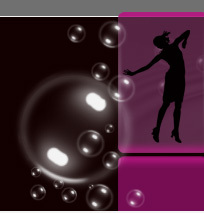 From just one informal confidence-boosting lesson to a whole choreographed routine, we can tailor to what you require. If you want to feel comfortable on your first dance but aren't sure where to start then this one night intensive lesson is for you. Some optional twirls and flourishes that suit your style and music choice, if you decide you want to embellish your dance. You choose your music and will be given time in the lesson to try the moves to the song of your choice. This course is capped at a maximum of six couples so there is time for everyone to do this. Attending a group course is ideal for those who might find a private lesson too intense and prefer a sociable group environment - and you won't be asked to swap partners as you would in most standard dance classes. Finally, a group course is the best value option as you will get two hours of tuition / practice for less than a 60 minute private lesson in the same studio. In a private lesson Emma can cater for your exact requirements whether than be a full length choreographed routine or just some tips to boost your confidence on the floor. Book as few or as many lessons as you like to suit your needs, budget and level of dance experience. Working with the guidance of an experienced teacher, rather than using an online tutorial or working it out yourself, means getting personalised advice such as improving posture, correcting timing, ensuring the 'hold' is comfortable and - most importantly - finding movements that suit you both. Studio lessons are available some weeknights and Saturdays at the new Crossway Centre in SE1 and lessons at this venue are £50.00 per hour inclusive of the studio hire. This venue is moments from Elephant & Castle tube and very quick for Waterloo, London Bridge and the City. If this isn't suitable, ask for details of potential other venues, where prices range from £55-65.00 per hour depending on the venue price and location. If you would like a lesson at home, work or at a venue of your choosing, this may be available subject to location and availability. There is a usually a minimum booking of 90 minutes (as Emma will be travelling out to you) but the session is cheaper pro rata. Prices may be negotiable depending on location and a supplement for travel time may be added if necessary (but this would be agreed in advance). We don't believe that you should pay extra simply because it's a wedding dance, therefore wedding dance lessons are priced the same as our usual private lesson rates and we do not charge a 'choreography fee' or insist you book a 'package' unlike many other companies. Emma Weir is a Fellow of the International Dance Teachers' Association (IDTA) with years of experience teaching dance and particularly choreographing wedding dances. Click on Wedding Testimonials on the left to see what previous couples have said! The slow Waltz is a traditional first dance. Other Ballroom dances such as Quickstep and Foxtrot (social/rhythm is easiest for beginners) suit most swing music such as Frank Sinatra / Rat Pack songs. Latin American dances such as Mambo / Salsa, Rumba, Jive etc suit a lot of modern music, particularly more up tempo romantic songs. Freestyle routines give you the most freedom to pick the song of your choice. lean some basic couple positions, steps and turns that can be choreographed to fit to your music regardless of style or speed. Novelty dances can be fun if you want the event to be more lighthearted. This can involve set routines, group dances, themed or character pieces (such as country and western music for a cowboy theme) or other fun style routines. See our Wedding Testimonials page to find out what others have said about us. 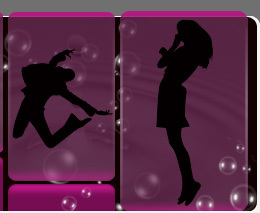 We advertise on www.hitched.co.uk and www.thewedding-guide.net websites for wedding suppliers. Please note that our venues now require private lesson bookings to be confirmed with payment so a non-refundable deposit will be asked for when confirming a studio lesson. There is no deposit required for home visits and in the event that Emma should cancel a studio session, there will of course be a full refund given.